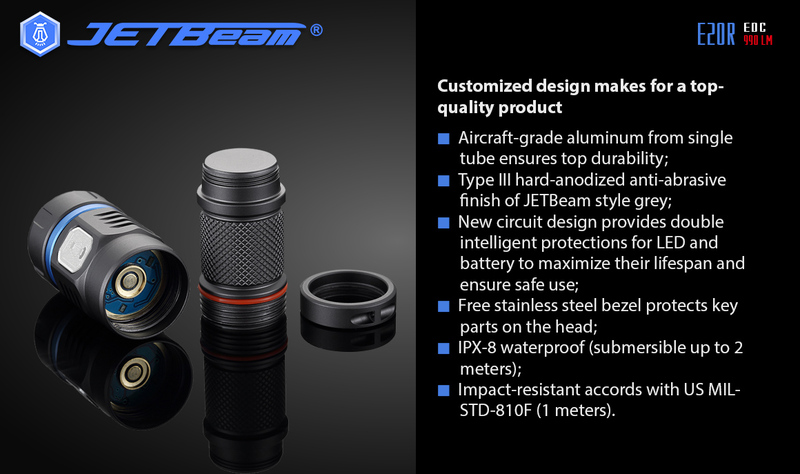 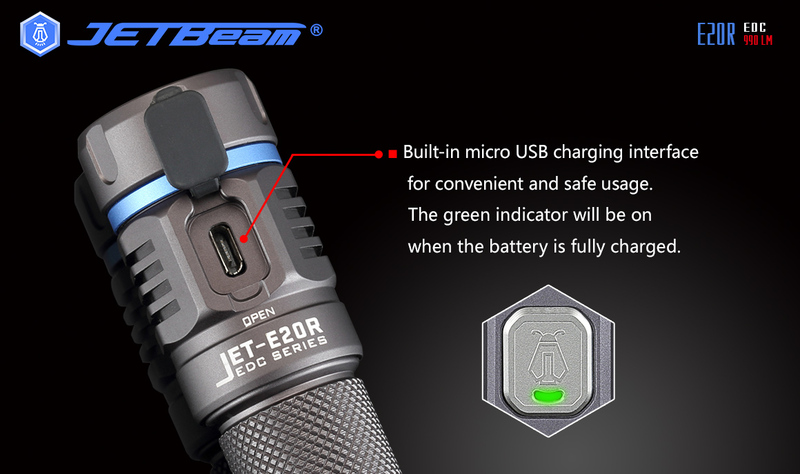 E20R_Products Center-JETBeam Electronic Technology Co.Ltd. 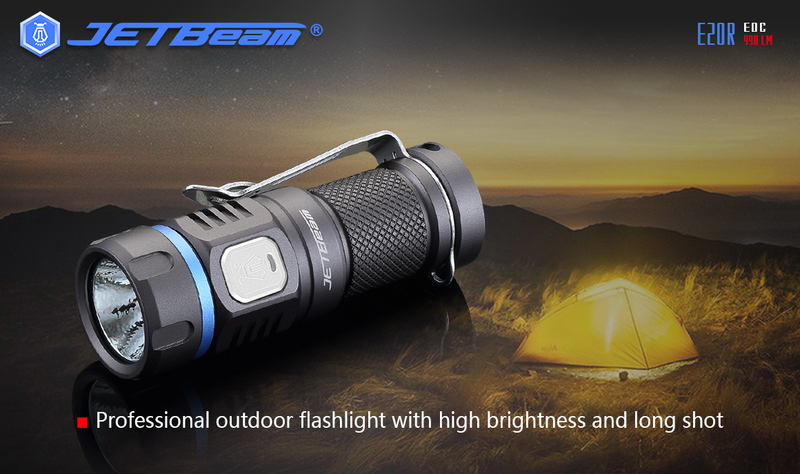 -Mainly used for outdoor camping,EDC,adventuring,searching,rescuing,etc. 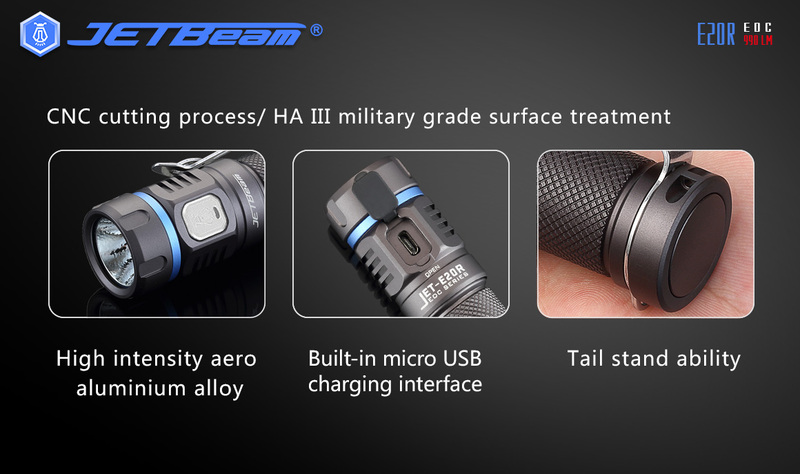 -With built-in Micro USB port and equipped with waterproof rubber plug. 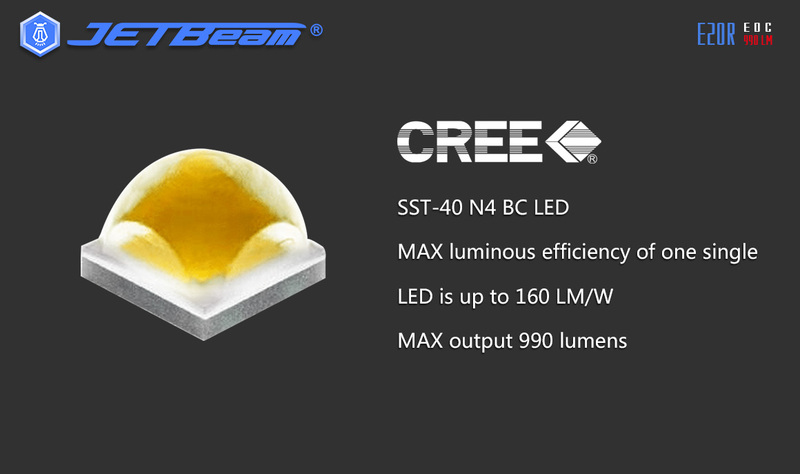 -With Luminus SST40 LED. 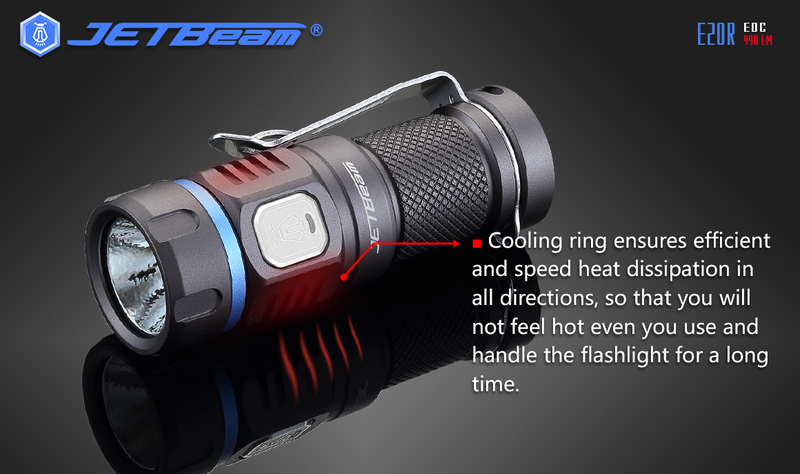 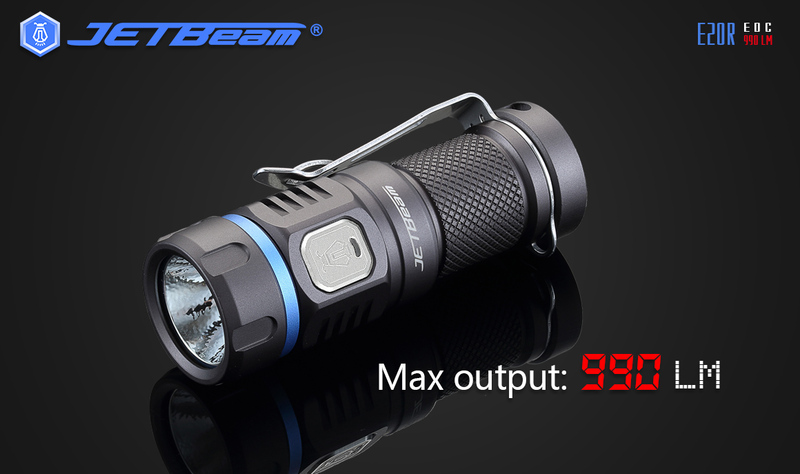 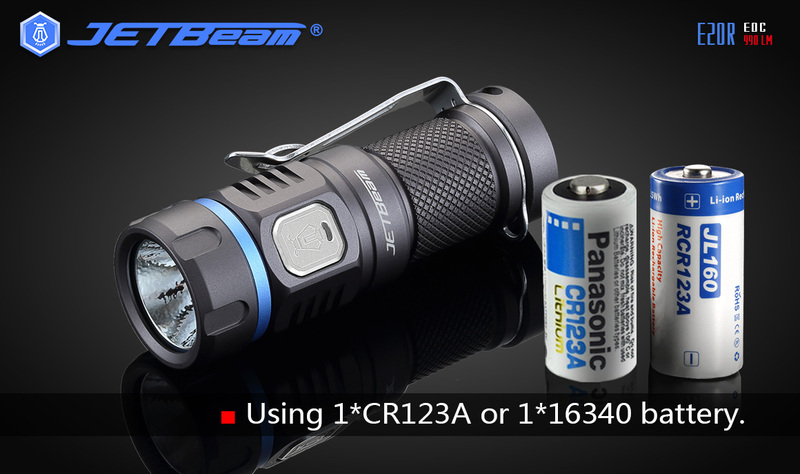 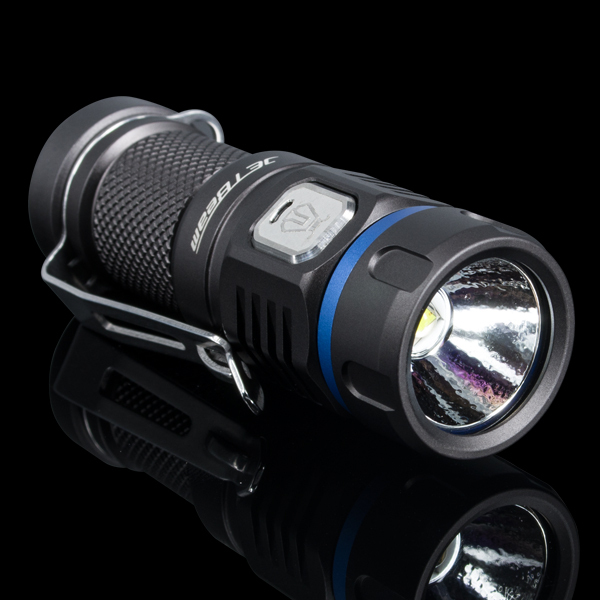 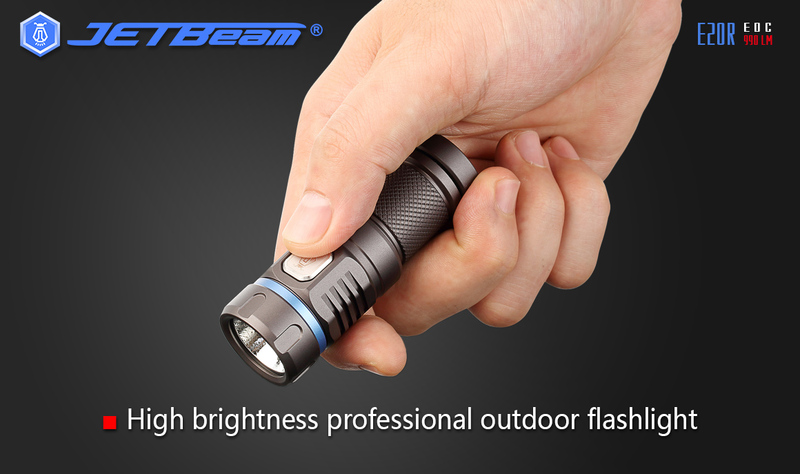 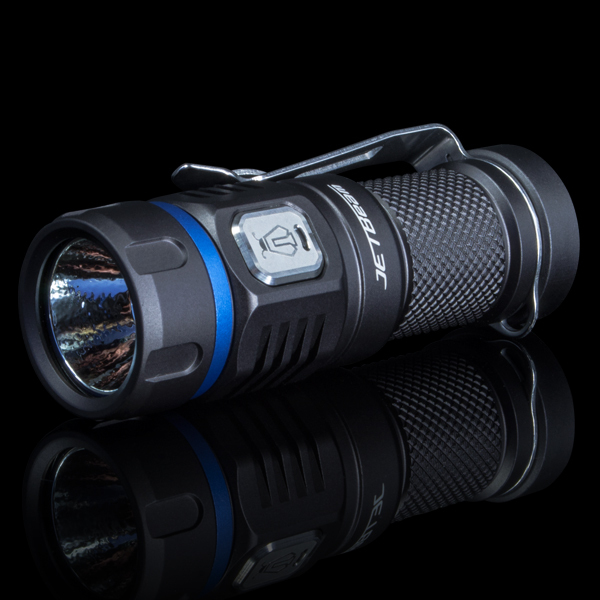 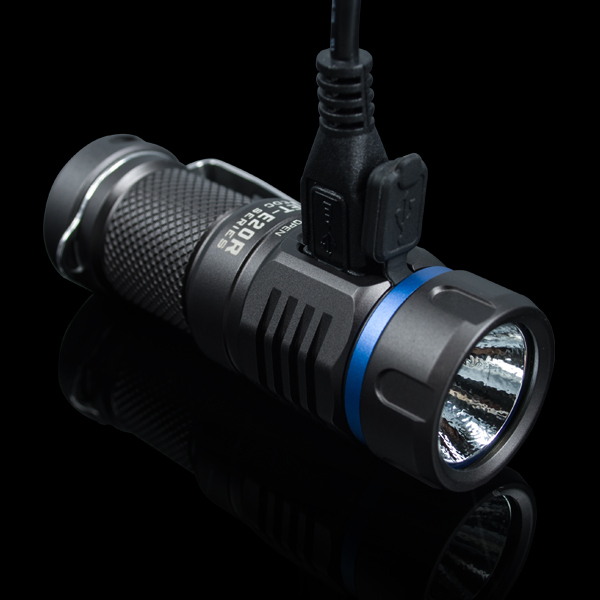 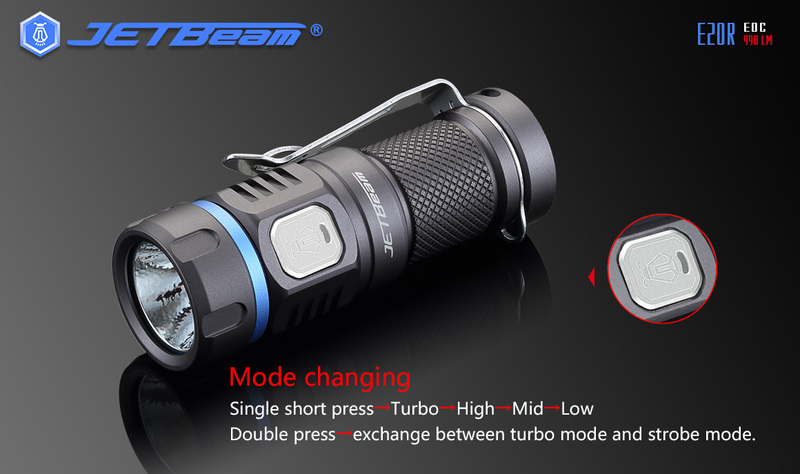 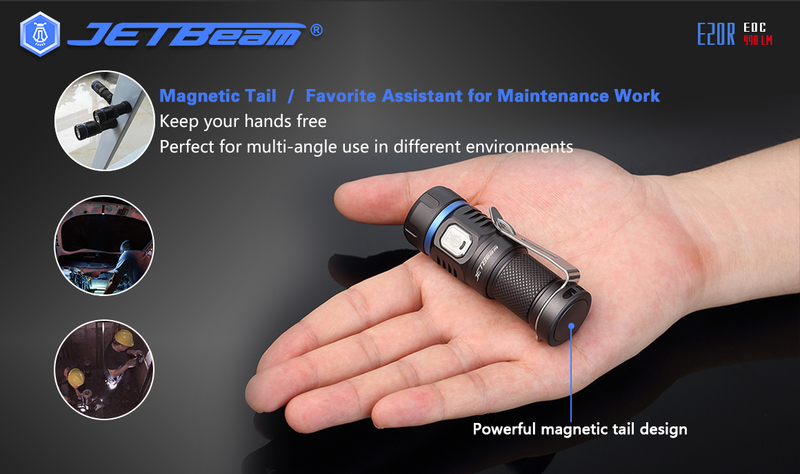 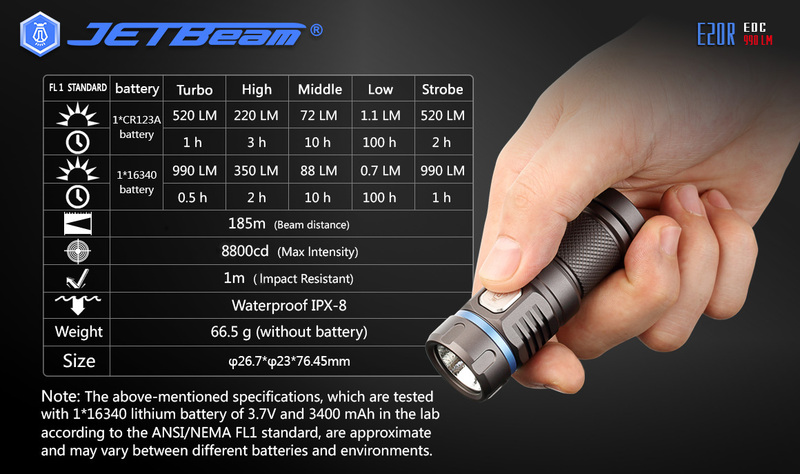 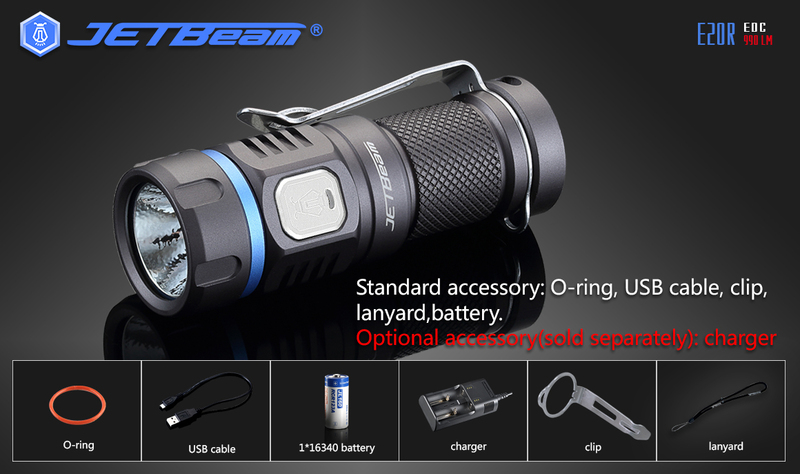 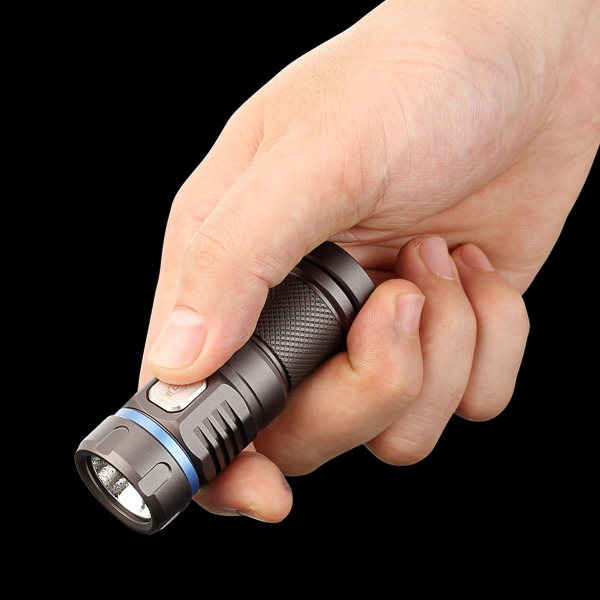 Maximum output up to 990 lumens. 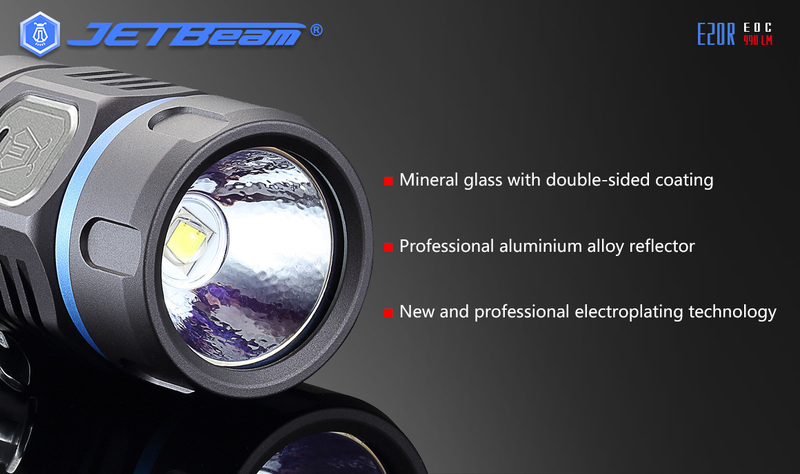 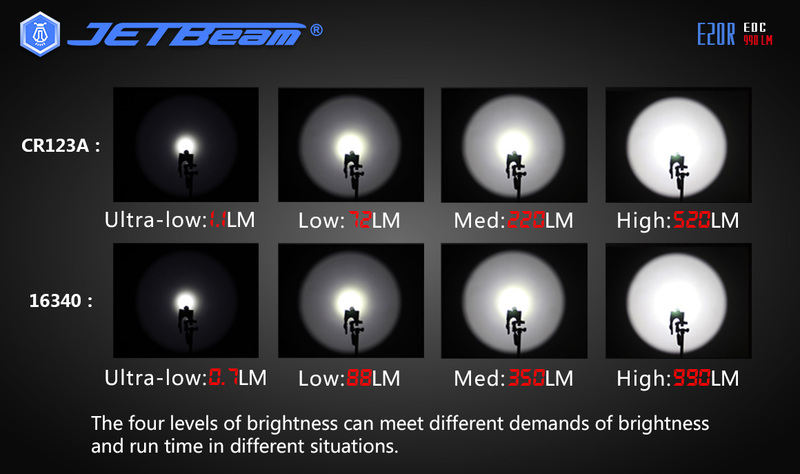 -Reflector designed by digital optical system, max beam distance up to 185 meters. 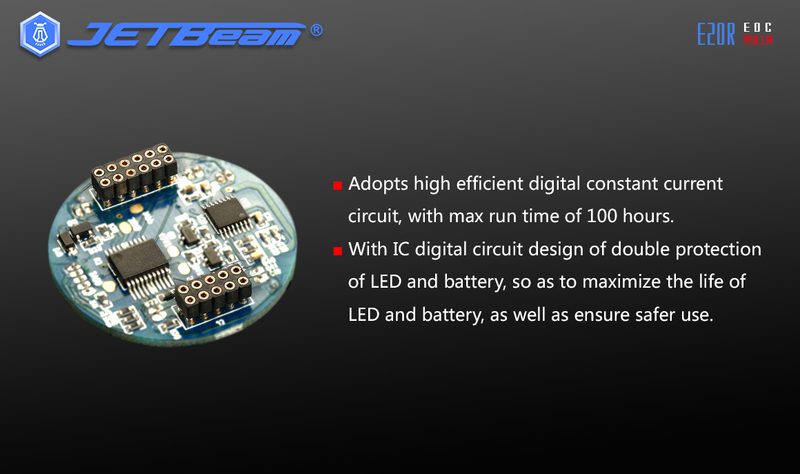 -Adopt efficient digital constant current circuit,max runtime endures 1 hour. 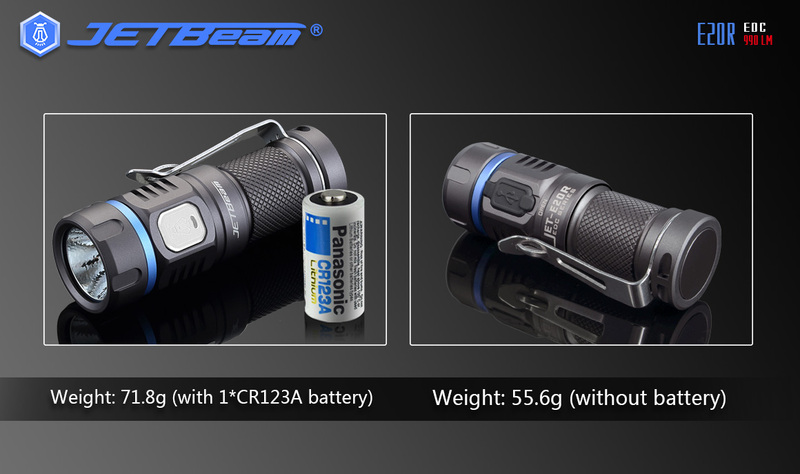 LED and battery to prolong their lifespan and make much safer usage. 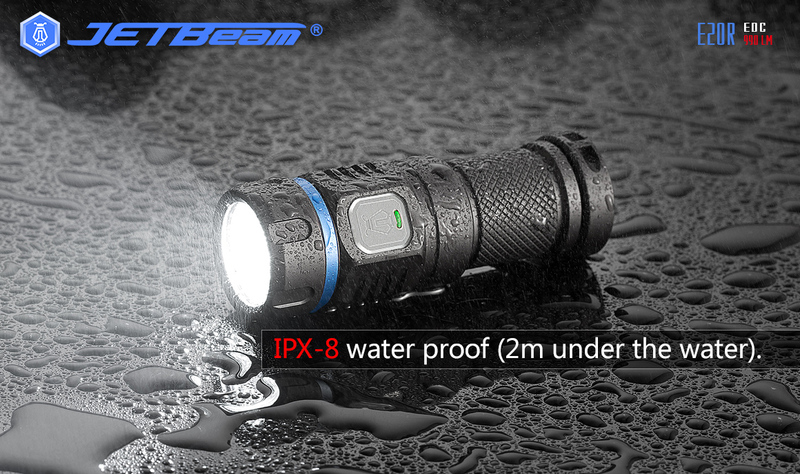 -IPX-8 waterproof standard(2 meters under the water).